The hit series “Despaired House Wives,” is full of drama and beauty. Eva Longoria is known for her flawless, curvy figure. However, Eva doesn’t take her role on the show lightly. Her workout routine is hard work. It’s always nice to know that people who you assume to be “naturally thin,” are actually working hard in the gym. Here’s an inside look at what Eva does to keep her figure in check. “Eva also got a new trainer, Aimet Victoria who had had her doing cardio and strength workouts three to four times a week. Eva hits the gym four times a week to do exercise to lose weight for an hour each session. She knows that regular weight loss exercises are the best way to lose body fat,” HCLW says. Because she tends to get bored pretty quickly, Eva is always pressing her trainer to change her routines constantly so that she never loses interest. “Eva reportedly participates in kickboxing and weight training sessions regularly. Kickboxing is a high intensity losing weight exercise that can help you burn up to 400 calories per hour. 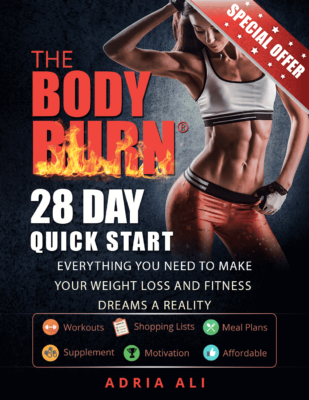 It does not only give her fat burning benefits but it also helps firm and tone her muscles with all the kicking and punching that she has to do. Her kickboxing combined with weight lifting are fast ways to lose weight,” HCLW further says of Longoria’s workout plan. I always love it when I hear that celebrities have to work just as hard as the rest of us to stay in shape! The only difference is that their jobs can really depend on their appearance. Take some of Eva’s tips to heart, change your routine often, stay consist ant, and pick cardio that keeps you motivated.